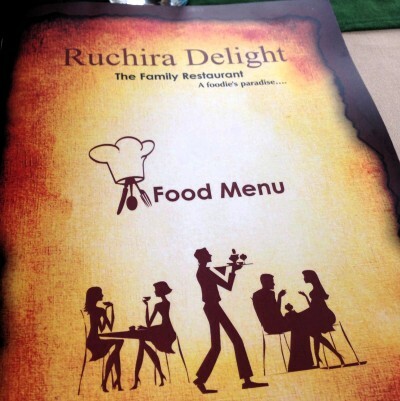 The city of Belagavi known for its good food has one more avenue where you can tingle those taste buds. We have many good restaurants with Bar this one is without one. Decor: Our entry into the hotel grounds is from the side with no visible direction boards towards hotel on the First floor. 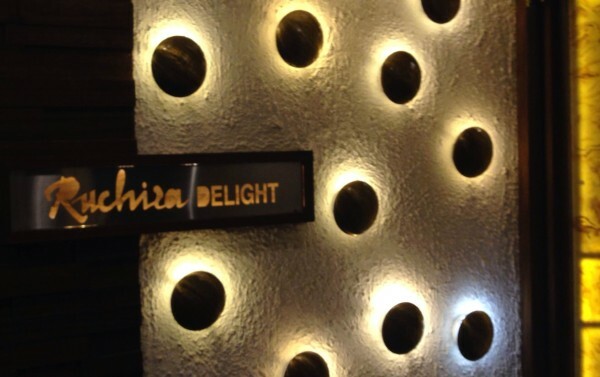 The Entrance on the first floor with Ruchira Delight is a delight to the eyes. 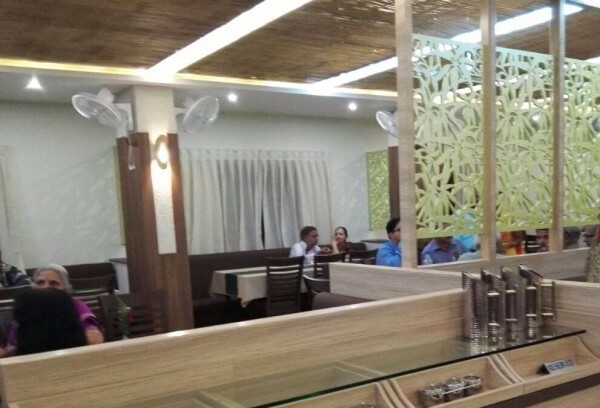 The overall ambiance is simple and elegant and this is not a AC restaurant but the place was well lit and quite pleasant ambiance. Elegant and minimal interiors in rectangular dimensions. Food: The menu is comprehensive and not fancier than expected. Regular Indian and Chinese dishes on the menu with a few new names. The menu does not have to many dishes but one has a lot of variety for sure. The addition of Veg & Non veg Shorba other than the regular Chinese soups was a delight. Also on the menu are Mocktails. We had a Jal Jeera which was quite good in taste. We then tried the Chicken Bharta and the taste was better than expected along with Rotis. The Roti’s not completely wheat based but were good enough and soft. The service was good and the delivery time could be quickened a bit. The pricing seems at par with other restaurants in the city and meal for 2 would approximately cost about 500-600. A good place to dine but has no bar and is not Air conditioned. Taste is good and Value for your money. food is good but service is very poor ..i mean kithcen will take so much of time to make dishes…..
Best Restaurant At Best Price & Nice food………. Delicious food and a lot of new variety to try and enjoy.